Apple confirms iPhone event for October 4th - end of the road for iPod Classic and Shuffle? | What Hi-Fi? Apple confirms iPhone event for October 4th - end of the road for iPod Classic and Shuffle? Apple has officially confirmed an iPhone event for Tuesday, October 4th. There'll be live coverage here on whathifi.com from 6pm tonight. The event will take place at Apple's Cupertino campus in California, and is expected to see the announcement of the iPhone 5. The launch of a smaller, cheaper version of the iPhone 4 is also rumoured to be a possibility, see original story below. Amongst the myriad iPhone murmerings, comes news that Apple could be about to call time on some iPod models, specifically the iPod Classic and iPod Shuffle. This year marks the 10th anniversary of the iPod, a product category that is undoubtedly in decline in terms of its importance for Apple, bringing in just 8% of revenue in the last quarter of 2010. The Unoffical Apple Weblog (TUAW) reports a tip-off that Apple will do away with the Classic and Shuffle and leave only touchscreen devices in its arsenal - the nano, iPod Touch and of course iPhone. It would also mean the end of the only non-flash-memory device in its range, the iPod Classic. The latest rumours from the Apple camp now point to an October launch for the iPhone 5 as opposed to the earlier slated September release date. It also looks likely that a cheaper version of the iPhone 4 will emerge at the same time as Apple seeks to take on Nokia in the increasingly lucrative emerging markets. The Wall Street Journal reports that U.S. telecoms provider Sprint will offer the iPhone 4 and iPhone 5 from October, while 9to5Mac is sticking its neck out and claiming an October 7th launch date. Alongside the iPhone 5 rumours abound of a more affordable iPhone 4. Reuters has reported that a lower specification model will feature 8GB of internal storage, instead of the 16GB or 32GB on the current version. It is understood Apple expect the cheaper version to help business in the Asian market, where the company is in talks with China Mobile Ltd and China Telecom Corp Ltd.
Channing Smith, co-manager of the Capital Advisors Growth Fund, which owns Apple shares, told Reuters: "A lower-priced version of iPhone 4 seems to be a necessary evil at this point in the iPhone adoption cycle, especially in emerging markets where the average income of individuals is much lower." 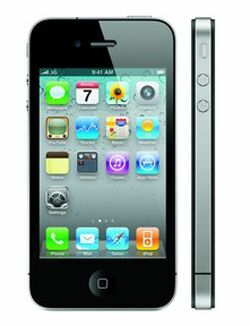 The new Apple iPhone 5 looks set to launch in September with a higher resolution screen, support for full HD 1080p video and using the A5 processor seen in the iPad 2. That's if you believe the latest round of rumours, which do at least have a whiff of credibility around them – hence we're putting our first iPhone-5-shaped flag in the sand. With iOS 5 – and Apple's iCloud service – set to launch in the UK in September it seems fair to assume a new handset will also emerge. Whether it will be called iPhone 5, as sounds sensible to us, iPhone 4G or something else entirely, remains up for debate, but a few specs sound fairly solid. The Guardian reports that the new smartphone will be similar in size to the existing iPhone 4 but could come minus the exterior buttons such as the volume control. Relying almost entirely on the touchscreen for control is certainly something we're seeing on the latest batch of tablets. Bloomberg reports the screen could well get a boost in resolution, 1080p video support (in line with the iPad 2), and an upgraded 8MP camera. Also potentially on the horizon is a cheaper, possibly smaller iPhone, slated for release in 2012. The increasing strength of Google's Android operating software is helped by support from a range of handsets at various prices, something Apple currently doesn't offer. We'll be sure not to bombard you with every iPhone 5 rumour that emerges – we simply wouldn't have time to do so – but we will be keeping an eye out for anything more concrete and sharing it with you right here.